The New Drovers Trail is a great 3 day trail ride with three medium length riding days and pub lunch options everyday. We look forward to welcoming you on the New Drovers Trail . . . 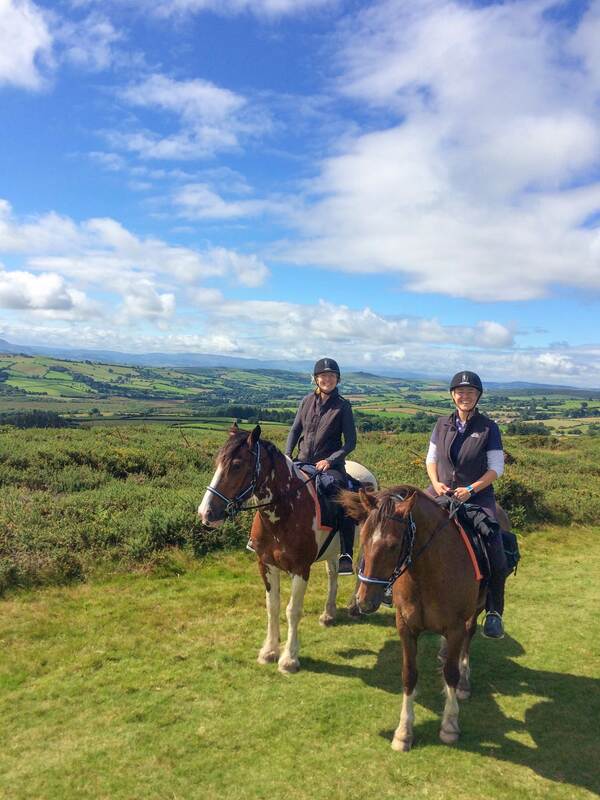 The New Drovers Trail is a three day trail ride which offers Freerein riders quality overnight accommodation paired with the opportunity to explore spectacular trail riding in the heart of the rolling Radnor Hills. Days are fairly flexible in length but please do note that the last day traveling back from the Harp Inn at Old Radnor is a medium to long day of 16 to 18+ miles. This trail gives riders the opportunity to sample both of the main accommodation types available. 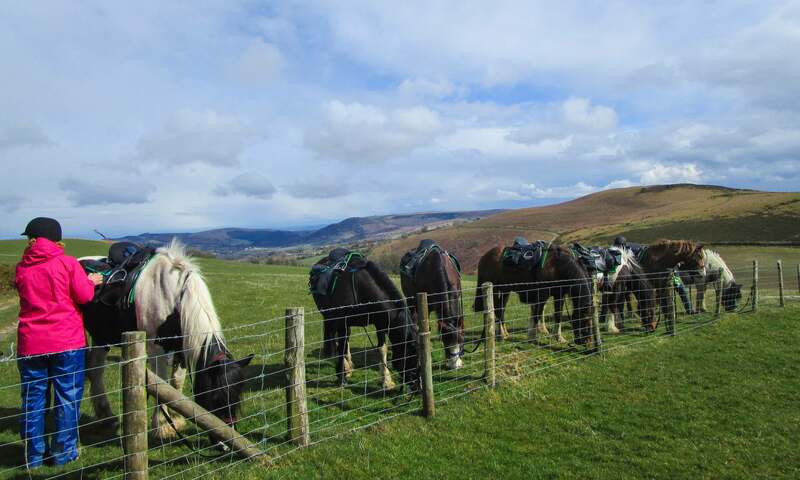 Freerein offers a large variety of different places to stay overnight whilst on trail. This divides mainly into welcoming guest houses, farms and individual country inns. The New Drovers Trail stays at one farm or guest house and one country inn – the perfect mix. Explore with your trusty steed . . . Traveling from Freerein HQ over the Begwns through Painscastle (perhaps stopping at the Roast Ox for lunch) you come to the end of your first day to stay at either Newhouse Farm, Cwmfillo, Newgate or Goblaen, all fine old guesthouses offering a very warm welcome for horses and riders. This is your first night on trail. From your first nights stop you travel over Red Hill and along the country lanes and hillsides to the Royal Oak in Gladestry. It is a potential late lunch stop, but only for those who move swiftly and trot out the miles. Otherwise take lunches and tie up somewhere along Offas Dyke after Newchurch. Lots of good canter opportunities along Offas Dyke and Hergest Ridge. One of the many highlights of this route is the part of Offas Dyke which takes you along the Hergest Ridge of Mike Oldfields Tubular Bells before the exhilarating steep track which takes you to the Harp at Old Radnor. travelling directly North before heading east towards the plain of New Radnor to stay at Old Radnor. Return relaxed and refreshed . . . The return trail ride from Old Radnor is at first along country lanes then along hill tracks skirting Burl HIll and on to Black Yat after which head straight for Painscastle or take a loop round Glascwm Hill before joining the tracks down into Pendre Barns, Painscastle. Please note that this trail ride is only offered to those with previous experience of one of more self-guided trail rides with Freerein. If you are contemplating your first self guided trail with us you can view a selection of suitable trails by following this link: horse riding holidays. 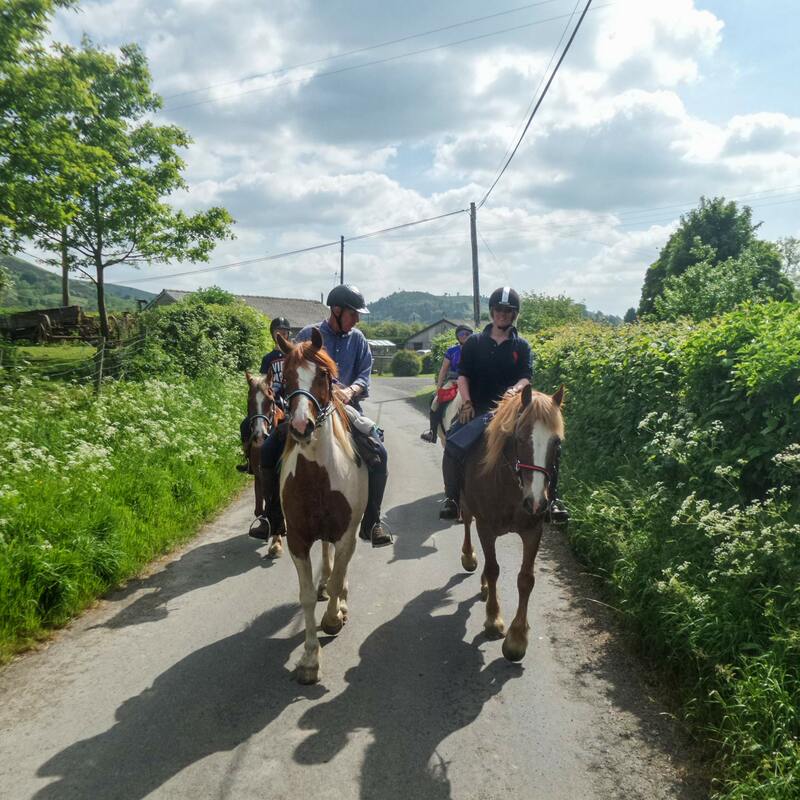 If some members of your group have done previous self-guided trails and others haven’t, bookings on Freerein+ trails such as this one should be suitable for you and are most welcome. If you are unsure please do not hesitate to contact us for a chat. Arrive at Freerein HQ at 9am. Pack saddle bags then prepare your horses. Go through your individual route pack & depart. Out on trail all day. Arrive at your accommodation, untack, feed & turn your horses out in the field. Relax for the evening and enjoy a home cooked meal. Feed, groom and tack up your horse. Out on trail all day travelling to the Harp Inn or Bracken Ridge at Old Radnor. Out on trail all day. Return all the way to Freerein HQ for tea/coffee and homemade cake. The scenery was breathtaking and the trail wonderful, so many opportunities to have a good longer canter . . .